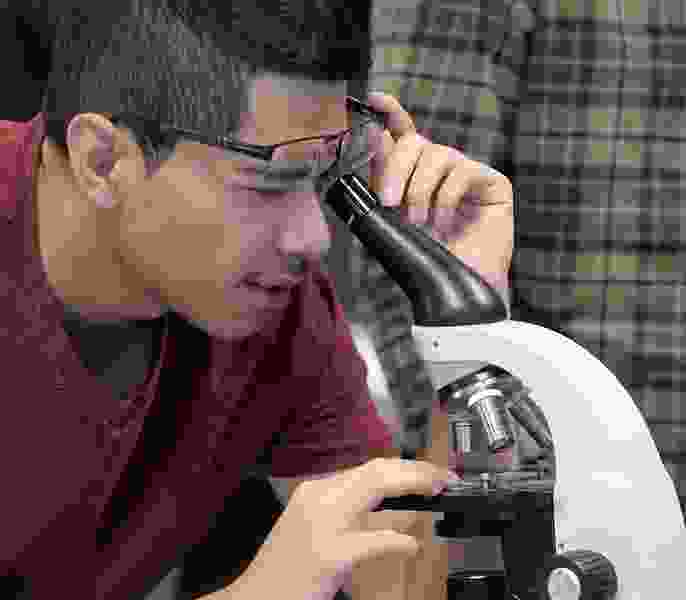 (Al Hartmann | Tribune file photo) Hector Anguino peers through a microscope during a science competition at Salt Lake Center for Science Education. The Utah Board of Education gave the go ahead on Thursday to the drafting of new science curriculum standards. The Utah State Board of Education greenlit plans Thursday to begin drafting new school science standards, a process likely to touch on divisive issues like climate change and evolution. The state school board approved that panel’s recommendations Thursday, which included crafting science standards using NGSS as a primary resource. A writing committee will now work to draft the new science standards for the elementary and high schools. Public review and feedback on the middle school standards led to multiple drafts before the school board approved a final version. Board member Alisa Ellis voted against accepting committee recommendations Thursday, saying she could not support the standards on principle. Ellis and committee members have the same goal of setting students up to excel, she said, but different ideas on how best to achieve it. “Yes, the standards are old, they’re outdated, but I’m failing to see how Next Generation Science Standards solves that,” she said. Despite casting the lone nay vote, Ellis said she was happy the board approved her amendment asking the writing committee also look at other science standards besides NGSS, she said. Many committee members attended the board’s meeting Thursday, speaking during public comment in support of NGSS. Some said they believed the middle school science curriculum changes positively fostered critical thinking in students, over recitation of facts. Prior debates on science standards delayed adoption of the 2015 standards, amid criticism from some that they promote liberal and secular viewpoints on issues such as climate change and evolution. Ellis said in November she suspected Utah’s review of science standards might be driven by political rather than educational values. Board member Lisa Cummins said Thursday there were parts of NGSS that she liked and parts that concerned her. She asked that standards be crafted in a way that “showcases both sides of the argument,” she said. Board members and the public will have the opportunity to suggest revisions before any science standards are formally considered for adoption.